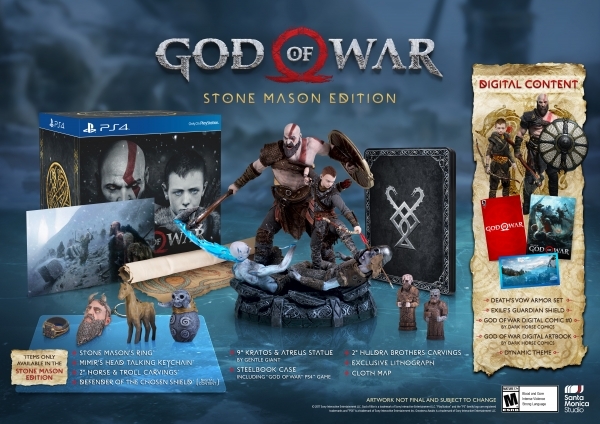 Special editions and pre-order bonuses announced. 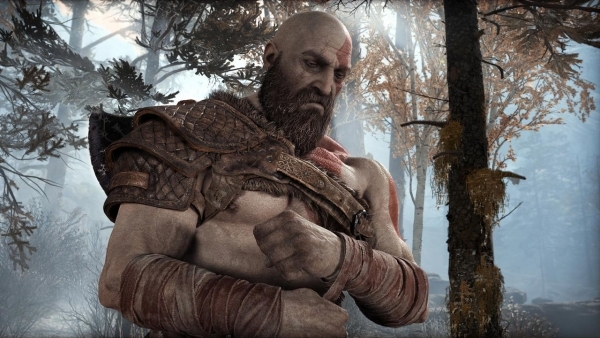 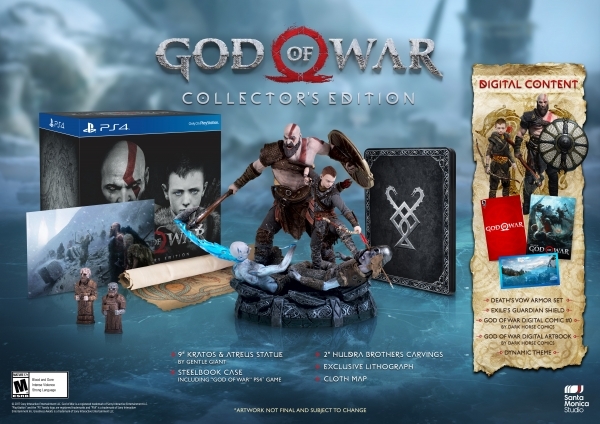 God of War will launch for PlayStation 4 on April 20, Sony Interactive Entertainment announced. 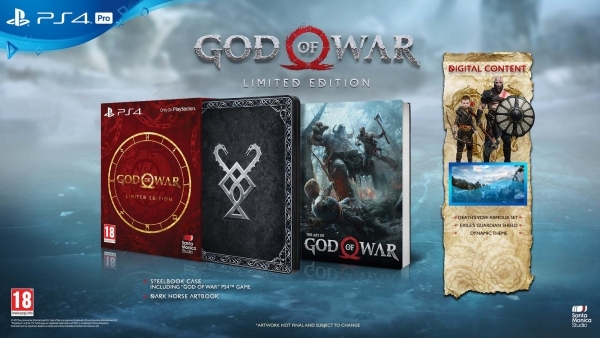 Every edition of God of War will include three legendary shield skills as a pre-order bonus. 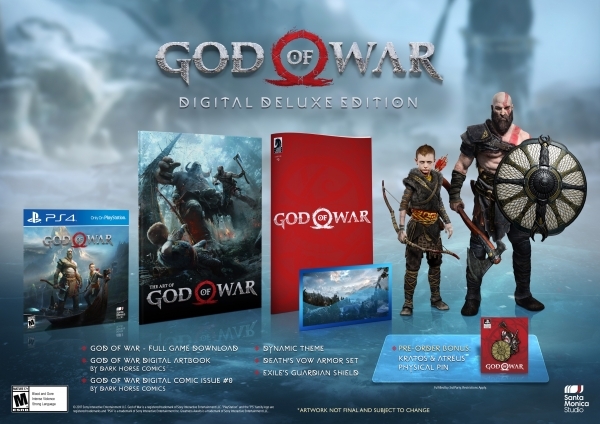 If you pre-order any edition of God of War at GameStop or EB Games in North America, or at selected retailers across Europe, you’ll also receive Luck of Ages XP Boost, which grants +10 Luck and has one Enchantment Slot.